The sale of equipment from Opel's Bochum plant, shown, includes a fire station, cafeteria and health care ward. 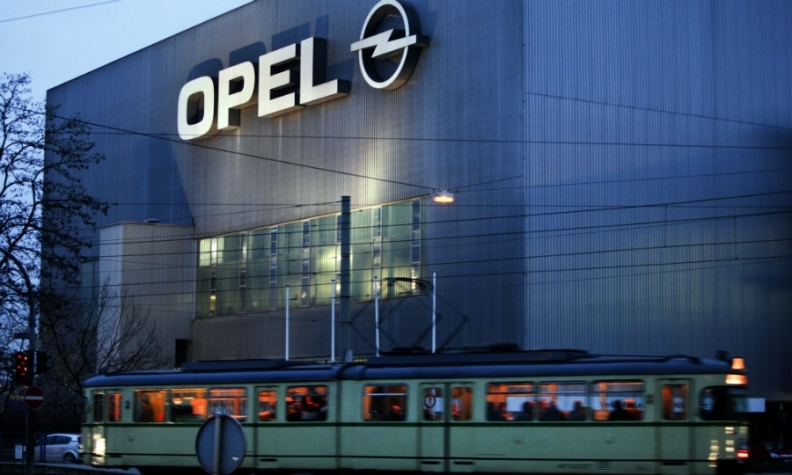 General Motors' Opel unit next month will auction tooling from its plant in Bochum, Germany. GM is shutting the factory to reduce its excess capacity in Europe and help return its operations in the region back to profit. Bochum will make its last vehicle on Dec. 12, according Maynards, the auction company charged with selling off the factory’s tooling. Bochum’s equipment will be auctioned on Nov. 20 ahead of the shutdown, Andreas Matuszczak, Maynards’ European managing director, told Automotive News Europe. The plant's 50 presses, some dating back more than 50 years, will be sold along with 80 percent of the robots in the body shop, Matuszczak said. The Canada-based auction house also listed on its sale inventory a complete fire station with vehicles, a cafeteria and a health care ward. The assembly line is not included in the sale. It will be moved to other Opel plants. Matuszczak declined to put a value on the equipment. Matuszczak said that all the presses had been bought new for the plant and ranged from 800 metric tons to 5,000 metric tons. Buyers were likely to be from eastern Europe, Turkey, India or Thailand, he said. Opel currently builds the Zafira Tourer and Zafira Classic minivans at the plant, which opened in 1962. Production of the Zafira Classic will stop altogether, while output of the newer and larger Zafira Tourer has already been moved to Opel’s factory in Russelsheim, near Frankfurt. The Bochum factory was built on old coal pits in the industrial Ruhr valley and was the largest construction site in Europe at the time of its opening more than 50 years ago, according to Opel. The first car built in the factory was the Opel Kadett. Opel spent 1.7 billion euros ($2.2 billion) restructuring the plant between 1995 and1999. The factory employed 3,280 people, according to Opel’s website. European automakers are closing plants and cutting their work forces as the region’s six-year downturn hits car sales. Ford is closing its factory in Genk, Belgium, this year while PSA/Peugeot Citroen has shut down its plant in Aulnay, near Paris.